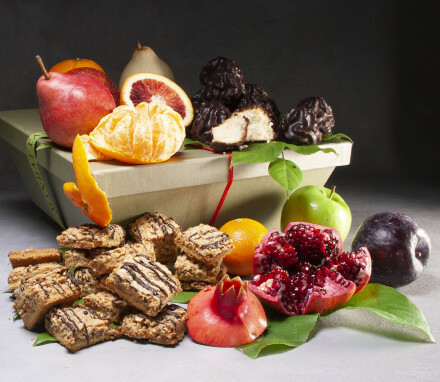 Refined and elegant Passover gift baskets that feature exquisite fresh fruit and delectable Kosher for Passover treats. If you have any questions about our Kosher certifications, please do not hesitate to call us at (800) 841-5718. Passover begins on Friday, April 19th. 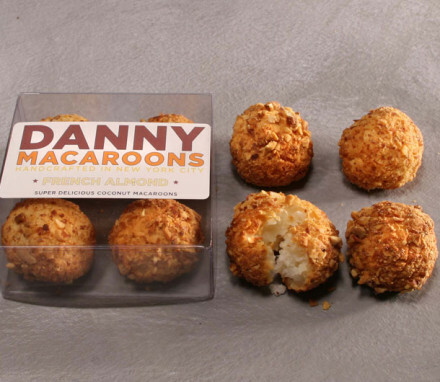 Manhattan Fruiter is proud to offer gourmet Kosher for Passover gift baskets featuring fresh seasonal fruit and delicate desserts like chocolate-dipped coconut macaroons and cashew crunch. 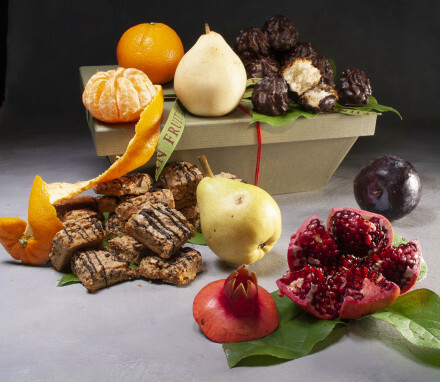 And our Passover gift baskets are customizable with five, seven, or nine pounds of fresh fruit, so your kosher for Passover gift basket can be tailored for your recipients. 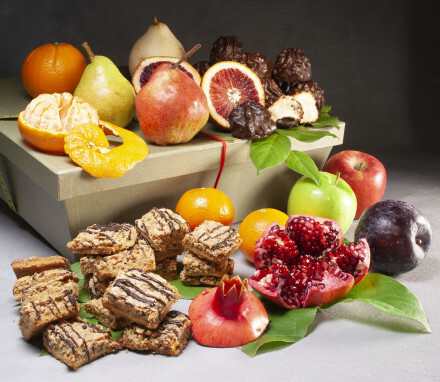 It’s always appropriate to bring or send a food gift (or gift basket) for Passover Seder. Passover is the traditional celebratory dinner where Jewish families and friends get together to eat, drink, and read the Passover story. Food and wine gifts are especially fitting and will be thoroughly appreciated as long as you follow a few rules. The most important consideration is that any Passover gift or gift basket you bring or send should be specifically labeled “Kosher for Passover.” Unless you keep a kosher household and comply with Kosher for Passover restrictions yourself, it’s probably best not to bring something you’ve cooked at home. The best options for Passover are delicious pre-packaged foods that are expressly labeled and in their original wrapping. Let the Seder host unwrap the Passover gift. To find the proper kosher certification for Passover, look for the words, “Kosher for Passover” or a kosher certification that includes a “P” on packaged foods. Remember, a kosher symbol alone is not enough – the food must meet the more stringent rule for Passover. Fresh fruit is naturally kosher! 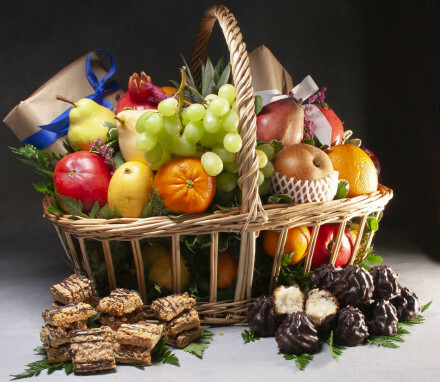 One word of caution: while a fresh fruit gift basket may be kosher for the Passover Seder, there shouldn’t be any packaged foods in the basket that aren’t labeled Kosher for Passover. A single non-kosher item makes the entire gift or gift basket non-kosher! 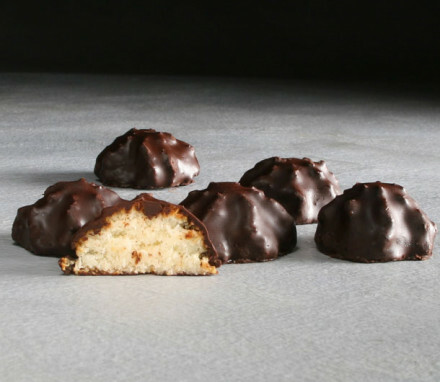 Sweets and confections for Passover must be flourless. 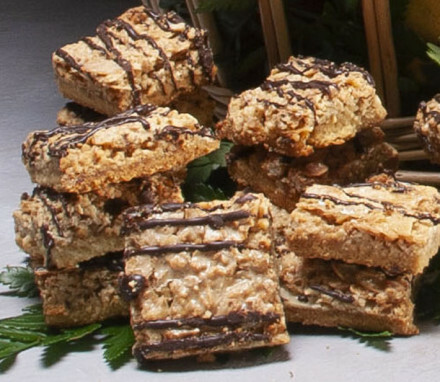 In strictly kosher households, desserts must also be dairy-free because most Seders include meat, and people who keep kosher cannot eat meat and dairy in the same day. 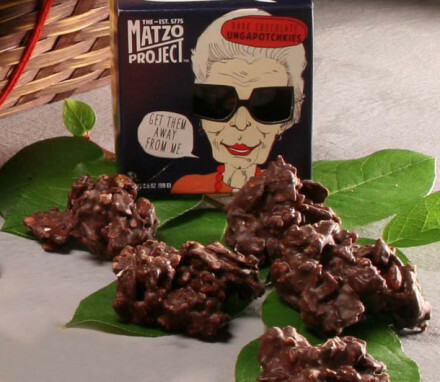 Play it safe and bring a sweet treat to Passover that is both flourless and dairy-free. Kosher wine is a great gift for Passover, especially if it’s high-quality wine. Everybody at the Passover Seder is obligated to drink four glasses of wine, which can add up to a lot of wine at larger Seders. It’s customary to drink red wine the Passover Seder. There are a handful of winemakers who have moved beyond the super-sweet wines made from Concord grapes. We happen to sell very high quality kosher wine made by Galil Mountain Winery in Galilee, Israel. As with all of the gifts you bring to a Passover dinner, you’ll want to be certain that your wine gift is labeled Kosher for Passover. Flowers also make a great Passover gift because they are not subject to any kosher rules. And best of all, flowers in the Spring are bursting with colorful blooms that bring the promise of sunshine and warmer weather. Any Seder host would love to add a bouquet of flowers to the Seder table. Finally, not every Passover celebration adheres to rigorous kosher for Passover rules. There are many variations among Jewish people celebrating the holiday. But a good rule of thumb is to err on the side of sending a Kosher for Passover gift if you don’t know. Happy Passover gifting.